The area stacked with cement ice boxes will be the new location of the freezer. 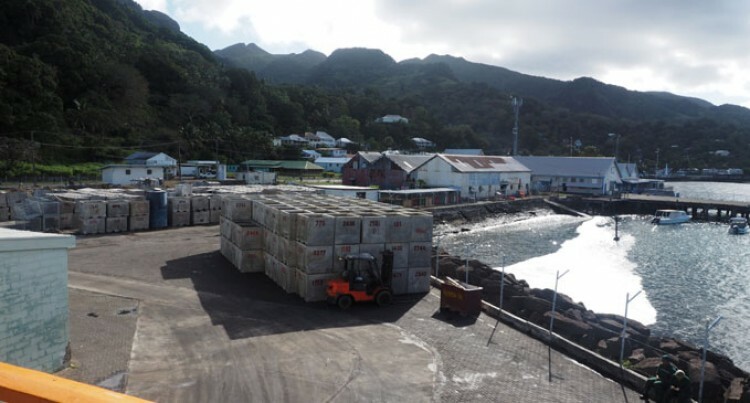 Exciting times are ahead for Government’s Pacific Fishing Company Limited as it begins to recover from it once ailing status. $25 million will be invested in the Levuka-based facility in the long term. This is a commitment which is jointly supported by Government and PAFCO’s strategic partner US-based Bumble Bee Foods. Of this, $13.5 million will be allocated to build a 4000 metric-tonne freezer at its headquarters in Levuka. The new freezer is to be located on the footprint of the previous freezer building which was built in 1963 and which burnt down in 2008. The investment is being made through loan agreements between Government at $9 million announced during the 2015 National Budget announcements and the remainder by Bumble Bee. PAFCO chairman Ikbal Jannif said the investment is required to meet the demand and supply of fish throughout the year as well as replace its aging facilities. “For some years now, PAFCO has noticed a decline in tuna in certain seasons of the year. The new freezer facility will allow PAFCO to purchase tuna when it is available and store it. The existing freezer is 3000 metric tonnes. Civil works on the freezer are expected to take off at month end with construction works to be complete either in August or September, he added. The $9 million loan repayment to Government, Mr Jannif explained, is a 15-year one. “The loan from Bumble Bee is a rolling fund loan which we will repay as we do work for them,” he added. Bumble Bee is the major buyer of the loins that PAFCO produces. $11.5 million on the other hand will be used to upgrade its existing facilities. Mr Jannif said: “We have to do this in phases because to do anything else would mean closing the plant down. The period from mid December to first week of January is a chance for the 700 workforce to spend time with their families, Mr Jannif said. PAFCO is in talks with a bank to secure a loan, while the remaining amount will be provided from its balance sheet. Last year, PAFCO posted recovery financials of profits before tax of $1.9 million after two years of operating on a loss. This year, Mr Jannif is optimistic further signs of recovery will once again be noted in its financials.